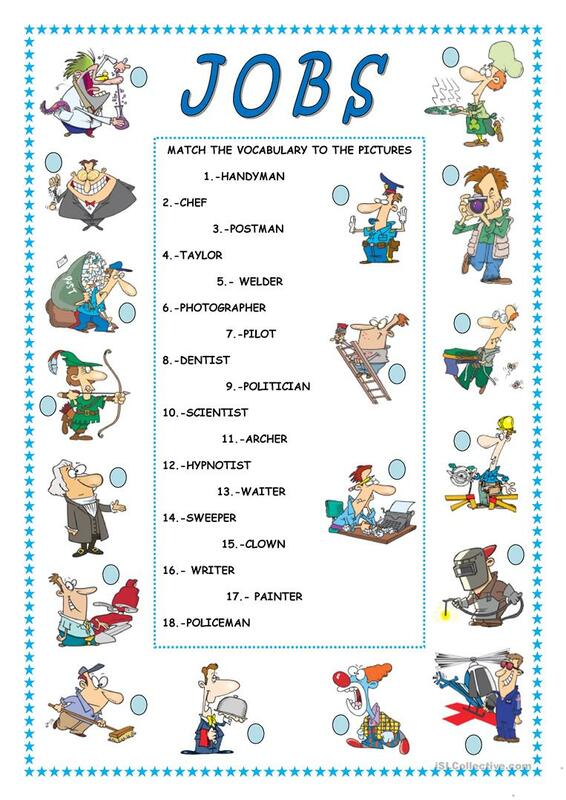 Sts match the vocabulary to the pictures. This an easy worksheet for your students and they should revise this vocabulary at the same time. I hope they have good time and benefit from this sheet. This printable, downloadable handout is recommended for elementary school students and students with special educational needs, learning difficulties, e.g. dyslexia at Elementary (A1) level. It was designed for enhancing your learners' Reading and Writing skills. It is about the theme of Jobs, work.